Hi John: Welcome to the board. Where in Ireland?.. is a tough one. It's a problem, but you may get lucky where an enumerator may write the place of origin in Ireland, even I it is just the county, on subsequent census takings. One other thing, but only if you are incredibly lucky is to have one of your ancestor's relative, die, marry or be born in the year 1855. 1855 was the first year of civil registration in Scotland and as such they tended to put more information on the cert. than in the following years. On these certs. it will give the individual's plae of birth, i.e Donegal, Ireland. In my case a sibling of my great grandfather's was married that year and it told that he was born in Dundalk, Louth. Good luck with that one. I am sure you would love to find out where exactly in Ireland your Devlin ancestors came from. Devlin is considered to be a County Tyrone surname and it is most likely that your Devlin ancestors came from County Tyrone or one of the neighbouring Ulster counties. I have vague recollections of once going on a school trip to Carfin Grotto when I was a pupil at St. Bridget's Primary School, Baillieston in the 1970s. I have just done a GOOGLE search for CARFIN GROTTO and it seems that the Grotto was built by Catholic coalminers during a miners' strike in the early 1920s. Good luck with your ancestor hunting. You could perhaps find out more about your ancestors John and Mary (O'Brien) by getting hold of their death certificates- can order them on-line from the Scotspeople site. This gives mother's maiden names and father's occupation. You would have to be careful to get the right people tho- there would be many John and Mary Devlins in Glasgow. Where did they live when they first arrived? Sometimes people from one village in Ireland arrived to live in the same street or building as others from the same village. This happened with my Henry Devlin, who lived in Canal Street with his family - there were other people in the same building from the same small townland in Co Derry. I got Henry's Death certificate and it gave his mother's maiden name and his grandfather - a Patrick Devlin, a blacksmith. It had come down in the family that they were from Derry though - which helped, but given that Patrick's wife was a McCartney I was able to find a record of a birth to this couple by searching the net. I posted on the Genforum "Devlin" and "MCCartney" site with this info - and got more info almost immedaitely - and I was asked to join a website specifically for people researching families in a small cluster of townlands bordering Lough Neagh - I have now found relatives and visited the area. Give it a go! You could also have a look on the Rootsweb Family tree- not so many O'Briens in the north so you might get lucky. As Paul Kelly says, there are most Devlins in Tyrone... many in Derry, some in Antrim and another lot in Donegal, a presence in Dublin, and a sprinkle elsewhere in Ireland - and the number in Glasgow is amazing! I would be interested to hear what you know about the McCartney surname. I know that McCartney is generally regarded to be a Scottish surname and that most of the McCartneys in Ulster are descendants of 17th century Scottish Protestant Planters from Ayrshire, Dumfries and Galloway. However, I remember once reading that some of the McCartneys in west Ulster (Tyrone, Derry and Donegal) are actually descended from native Catholic Irish families. These native west Ulster McCartney families originally used the surnames Mulhartagh and McCaugherty, but they eventually adopted the McCartney surname in the years following the Planations. Hi John, if you go to MAPS on the menu bar you will be able to see exacly where Cowcaddens Rd is located. Cowcaddens is at the top of Hope Street and runs to the Garscube Road. Paul there has been a lot of change's in Carfin since the 1970s. A lot of work has been done to it and now looks really lovely. We are Parishioners of St. Bridget's Baillieston. 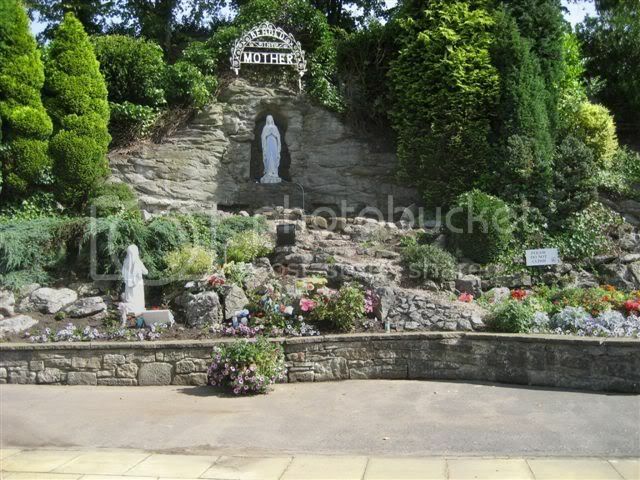 Welcome to the Web Site of Carfin Lourdes Grotto, Scotlandâ€™s National Shrine to Our Blessed Lady, within the Diocese of Motherwell. The founder of this beautiful shrine, Canon Thomas Taylor, was inspired by a visit that he and a number of parishioners made to Lourdes around 1920, which led to the realisation of his dream - to build a replica of the Lourdes Grotto for the people of Scotland. Under the guidance of Canon Taylor, and with the willing help of many men during the Depression Years from the Carfin parish and neighbouring parishes, future generations have been left with a wonderful heritage and it is our privilege to preserve and enhance it. You may know Carfin Grotto well, you may very well have visited it as a child; you may be a regular visitor or you may never have had the opportunity to come and visit the Grotto â€“ no matter! We hope this Web Site will give you an insight to the life of the Grotto and that you'll find something of interest that will encourage you to come and visit us. You're welcome to spend time here in the peaceful setting of the Grotto and to join us for our Pilgrimage Services from May to October. Heather thank you for the beautiful picture of the grotto. I visited it a couple of times as a child and a young woman when I lived in Glasgow. A very special place to my family. Thank you for reminding me of a very pleasant evening visit I made with my Parishioners of Holy Cross to Carfin Grotto.. There was a bus load of us. At that time it was my first visit. I felt so serene and cleansed, a lovely experience. Stratson that 's the name of my parish. Hi Isobel, was Holy Cross Church Dixon Avenue,your Parish in Glasgow or your present Hometown in ONTARIO.?  I am a member of gensreunited.co.uk and have had some luck connecting to long lost cousins, some as recent as 3rd cousins (one set of the same great great grandparents). Depending how busy I am I don't always get to catch up on research. Consequently, On it I have these contacts and sometimes forgetting how we are connected. So Sunday I bit the bullet and e mailed them all and blushingly asked how we are related again. Most were very kind and and spelled out our connection. So the next thing I did was mark it all down in a notebook with their names and etc. with their connection to me. I think it is going to work well. I have been able to send them some information that they previously didn't have. Now I have some sense of organization. For a while now I've harboured the suspicion that a branch of my family tree originated in Ireland, not something anybody every mentioned to me growing up. I don't believe anybody realized the fact! I've been stubbornly trying to confirm my suspicions and only tonight got lucky....I think. I've found a great-great-grannie on the 1861 Census widowed and living in Edinburgh (another wee suprise) indicating her place of birth as "Ireland"...Hot on the trail I dug some more and found another document, a wedding certificate showing the bride's father as a Bernard McGuire, deceased. What's intriguing is that after the word "deceased" there is what looks like the letter "U". Could this indicate Ulster do you think? If it does indicate "Ulster" maybe just maybe I've found the beginning of a thread to follow in the Irish records....and that'll be a totally new experience and adventure, eh? Has anyone encountered this in their searching?